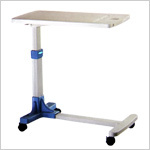 Premium quality Overbeds are included in our specialized range of hospital furniture. These Overbed Tables are used by patients for eating, reading, etc. our Overbed Tables are sturdy and durable. They are made of tubular framework, having an adjustable height between 710 & 970mm. 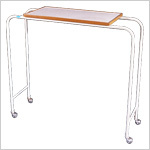 The quality and the precision of the Overbed Tables are widely appreciated. 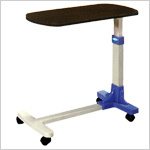 Send Your Buy Requirement For "Overbed Tables" AND Get Quote Quickly.